Paris based Iconem preserves endangered heritage using 3D scanning with drones. Yves Ubelmann and his partner Philippe Barthelemy (former helicopter pilot and drone maker) share a fascinating story about their work under difficult circumstances. Be sure to visit their Sketchfab profile page. Yves, what does Iconem do? Our goal is to preserve knowledge and traces of archaeological sites in danger, using 3D digitization methods. We are working for UNESCO, World-Bank or archaeologist for recording in 3D sites in remote places and many countries in the Middle East, Central Asia and Europe, and especially in threatened countries like Afghanistan or Pakistan. We designed and built a UAV and drone for photogrammetric purposes: a pre-programmed and automatized machine, with shooting protocol software for complex monuments and sites. We use and adapt 3D photogrammetric reconstruction algorithms, to reconstruct from 2D pictures large and complex photo-realistic 3D models. The algorithms were developed by INRIA, a computing research center based in France. Does working in such remote places complicate your work? We have to be very fast during the terrain work, because it is hard – and often dangerous – to stay for too long in one place. For example, the site of Mes Aynak is in Logar province, South Kabul, was under heavy military protection, and sometimes rockets were launched at the site. That’s why drone technology is very helpful : one day or two days in the field is often enough to get a huge survey and moreover, surveying on minefields is now possible. How are the resulting scans used? We get photo-realistic virtual models of the site. This models can be very heavy (huge textures and big meshes). The interesting thing is that we can have multi-scale models : That means we can have in the same model huge landscape (such as several kilometers) as well as very tiny details, such as sculptures, under one pixel by millimeter accuracy. This kind of model is difficult to upload on Sketchfab, but you can see some example on our youtube channel. Can you tell us about your favorite project? Since 2010, we are working in Afghanistan, on a site called Mes Aynak. It is one of the richest Buddhist sites in the country, from the Kushan period, and archaeologists found dozens of monasteries on it, with hundreds of sculptures. The site will completely disappear in a few years, because a copper-mine underneath it will be exploited. That is why a complete and accurate digitization is needed to record this exceptional settlement before its destruction. We realize an acquisition every year on the archaeological excavation, we can follow in 3D the evolution of the excavation during the all period of works. We can get evolutionary models, and easily revisit the past. Sculpture and architecture are recorded one by one. 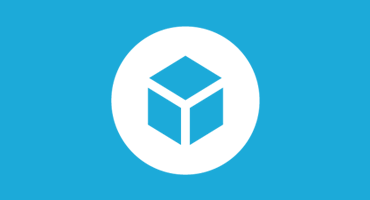 How does Sketchfab help your business? Working in such remote places, in international context, a crucial point is how to share our models with scientific community. Archaeologist from all over the world can be interested by this exceptional excavation, but only few from them can go on the field, because of security issues. Sketchfab is a tool for publishing raw data, can be seen and interpreted by every scientist. Moreover, it is a way to give an access to every one, even people who just want to see Afghanistan from an other point of view, though his rich culture and heritage! Thanks Yves! Best of luck with your fascinating work.